The first week of May brings us Teacher Appreciation Week and the chance to say thank you to all of you for turning students on to learning. We’ll be reaching out in the form of coffee, pastries, hugs, and general positive vibes. Thank you all for overcoming some of the challenges of this school year and never losing sight of our mission to teach and support students. 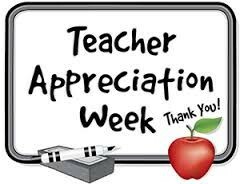 PTSA will be showing their appreciation later in the week. Watch email for updates! 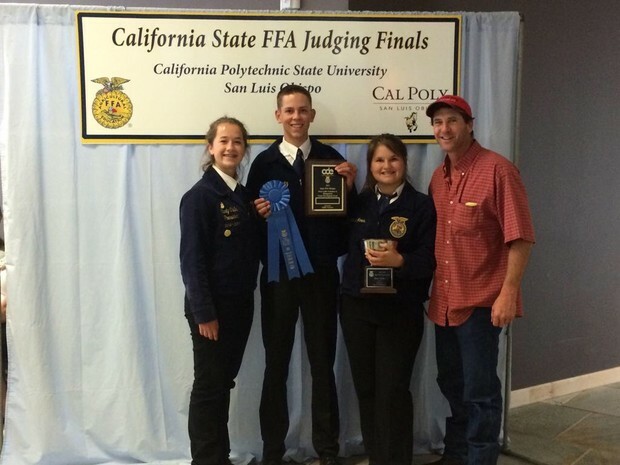 Carly Olufs, Clayton Arntz, and Connie Jones - State Champions in Dairy Judging!!! Remember we do have TC today at 10:40. Because of AP testing, we have no bells so we will be ushering students in at 10:30am. 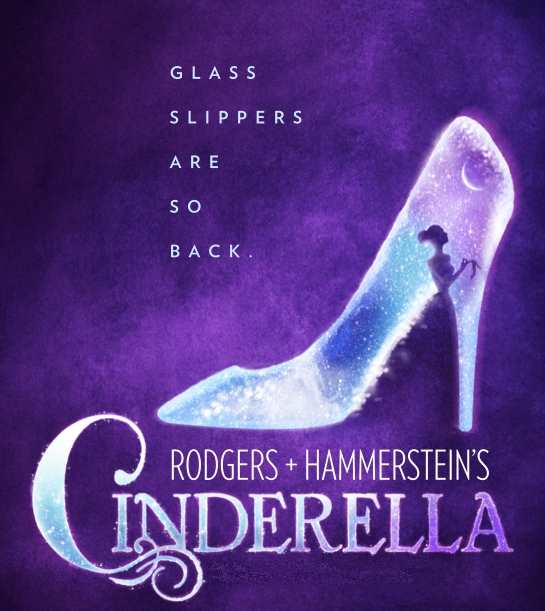 Don't forget to reserve your seat for the Spring play this year, Cinderella. Please support all the students and staff who have worked so hard to create this production by coming and enjoying the show! As the production heads into the second week, pick up your tickets for May 7th, 8th, 9th. Doors at 7PM, Show @7:30PM. Don't miss it! Please hug and thank Mr. Knox, Ms. Stoll, Mr. Jones (amazing sets! ), Ms. Schleth, Ms. Marcy and all the others who we've forgotten here. It takes a team to put the show on! Teachers: A reminder that Independent Study work should be assessed and returned to the IS coordinator (Barbara Turner) within 7 days. By law, the district cannot accept work beyond that timeline and therefore cannot collect ADA. Please remember that ADA pays the bills and that it is in our overall best interest to collect ADA. 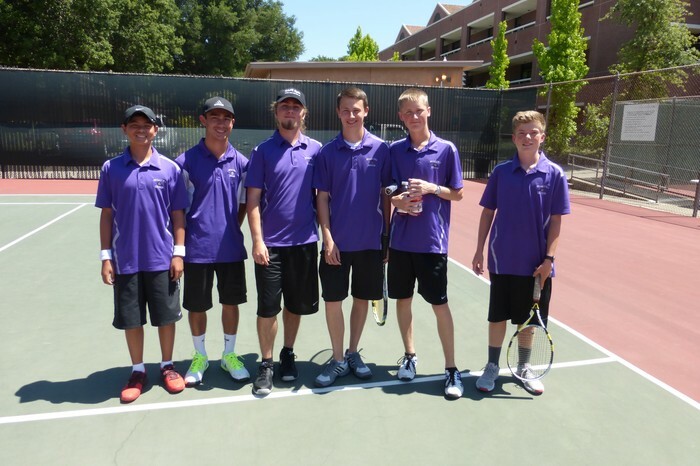 Boys Tennis wrapped up the season last weekend. We were a very young and inexperienced team this year with 12 out of 18 players new to the team, and we finished the league season in 3rd place with a league record of 5-7. At the SCL Singles and Doubles championships at SRJC, the doubles teams of Jason Metten & Dimitri Papageorgacopolous and Zach Leno & Alex Wolf plus singles player Nathan Wong all won their 1st round matches on Thursday, and lost close quarterfinals matches. Our other singles player, Kevin Cox, was seeded #4 overall and had a 1st round bye. Kevin won his quarterfinal match; in the semifinal match, Kevin played very well, but eventually lost to the #1 singles seed. Well done, Boys Tennis and Coach Cox!